My Perfect Eyes Review - Does This Eye Cream Really Work? You may have seen My Perfect Eyes in the news or on TV. 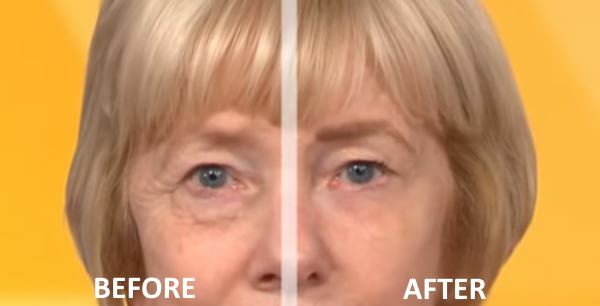 The product claims to be able to make wrinkles and eye bags disappear in under a few minutes. But how is this possible? Well, our review of My Perfect Eyes should put things straight. 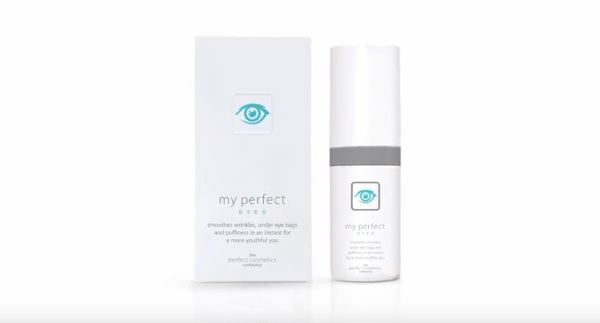 Most people will have never heard of the brand that the My Perfect Eyes cream comes from. That is at least until the news came out about their new product. The cream is sold online and also on TV. Many people are astounded that such a thing can be advertised and cannot believe that the product can do what it claims to. But the Advertising Standards Authority have actually looked into those claims and decided that the advertising is sound and My Perfect Eyes actually did just exactly what it claims to do. Firstly, they have made the cream very easy to use and apply. It is more of a gel than a cream. This applied with a wand found inside of the bottle. You shake the bottle for 30 seconds and take the wand out of the bottle. Then you can either place it directly under your eye or apply using the wand to your hand and then use your finger to smooth under your eye. It seems that the key is to use a smooth sweep outward from the inner corner of the eye out to the cheek. It's important that your skin is dry when this is applied. This includes having no makeup or moisturiser underneath it. So it's best applied just after washing your face. There is a slight tingling sensation for a few minutes has the cream dries and takes effect. Now, there are a lot of products out there that promise all kinds of crazy results. And many of them do not deliver. And if you have seen the adverts on TV, you have probably thought that this cannot possibly work. We saw it with our own eyes... The cream actually works! Just like in the adverts, it made wrinkles and bags disappear in just a few minutes. When we tested it, we applied the cream as per the instructions, and within one minute there was quite a notable difference. Within five minutes, it was a fantastic difference. Skin appeared so smooth; it literally looked 10 years younger. What's the secret behind My Perfect Eyes? My Perfect Eyes forms a film over the skin as it dries. This compresses it which gives it a sort of strange feeling that the skin is pulling itself inwards. It creates an almost clingfilm effect which holds in wrinkles and eye bags. The product lasts for up to 10 hours, so it is only temporary. So when you wash it off wrinkle will be visible again. But according to dermatologists, there's also a chance that it can also improve hydration of skin as it prevents water from evaporating from the surface. This would reduce the appearance of fine lines in the long term. So in summary, My Perfect Eyes does work. 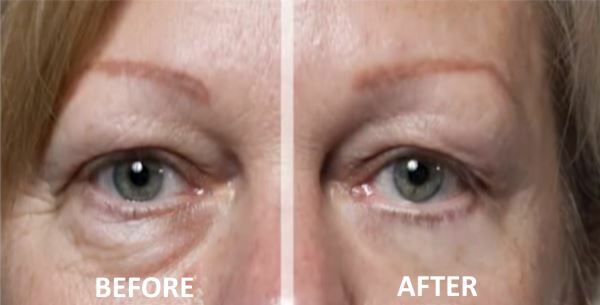 And while only temporary, it is one of the best instant solutions to wrinkles and under eye bags without resorting to invasive surgery. This product doesn’t look great on dark skin as it leaves a white film when dried, but it does work.